From the list of bank accounts below, you can choose who helps you can use to deposit the final amount of your order. It would be the deposit be made within 2-3 working days from the date of registration of order. In the deposit required to state reasons as your full name. In this case, the order is sent after you find out that the deposit and send you e-mail where you mention the exact date of your order by Courier to be working and the unique code search box. When introducing elements of your card, the bank commits the amount of your order, so in case you do not realize this, your money is not debited from your card account. The charge on your credit card will be together with the billing process, just before sending the product to the customer. 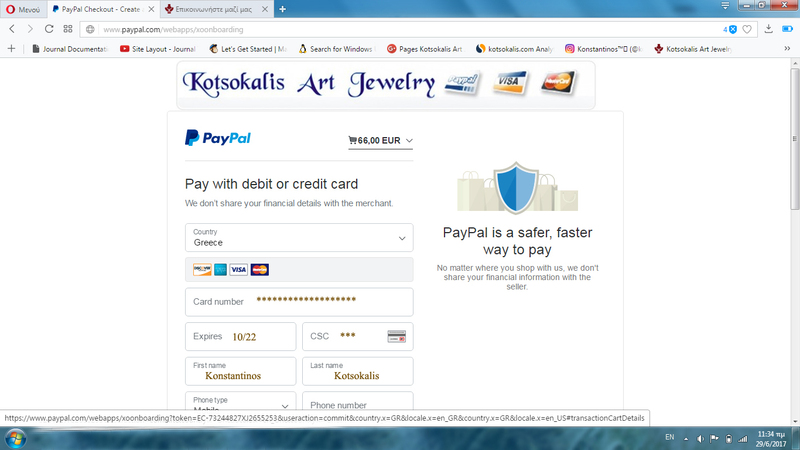 For the security of electronic transactions through credit cards, are made with the security system PayPal.